From the brand new Hakuouki artbook. This is the smaller version of the fold out poster. Oh wow, all such pretty textures and details. Nice scan, thanks for sharing! 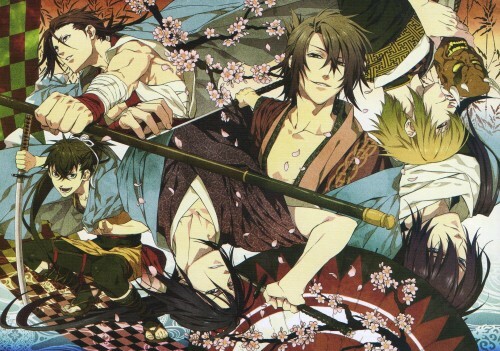 So many bishounen! *drools* Thanks for sharing these scans! Quote by MadoshiKurefuSo many bishounen! *drools* Thanks for sharing these scans! WOW! THE POSTER IS SOO COOL! Very awesome scan! I love how you could flip it either way and have a different perspective that still works. Thanks for sharing! This poster's so awesome! Thanks! This is simply too gorgeous!